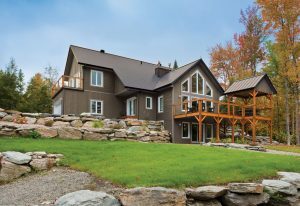 UltraVic provides that classic metal roofing look and durability at a reasonable price — the perfect choice for homes and cottages that need to have excellent curb appeal and handle a heavy snow load. Standing seam roofing with triple protection and clean lines. It’s the number one choice for metal roofing on a budget. Batten-style metal roofing that will stop traffic on your block. Artisan quality and style, wholesale prices. Seamless, modern lines and the toughness of 28-gauge steel. A great choice for any home. For the look of shingles without the headaches, this is your best bet. 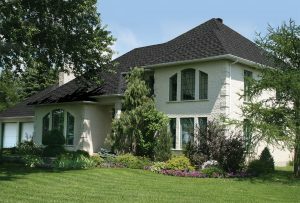 Summerside steel shingles are double-embossed and available in a variety of colors so you can have the warmth of shingles with the durability of steel. A stone-coated metal shingle that looks warm and rustic, but can withstand winds upward of 120 mph. Superior beauty, superior durability, superior quality — and nobody will know it’s metal. 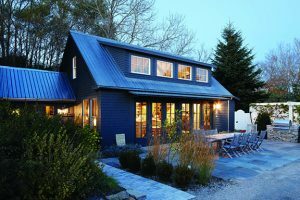 Every home needs a solid roof to be safe, energy efficient, and beautiful — and that’s why metal roofing is such a solid choice. 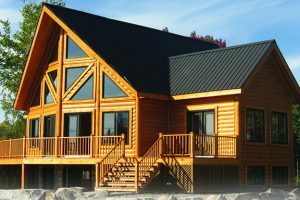 Yes, metal roofing is more expensive than asphalt shingles up front — but it lasts twice to three times as long, it requires little to no maintenance, and it’ll stand up to the toughest snowstorms Canada has to offer! The Edmonton roofers at Iron Shield Roofing are a proud installer of Vicwest metal roofing products — they’re durable, economically priced, and they look great! Check out some of what Vicwest has to offer for your home. 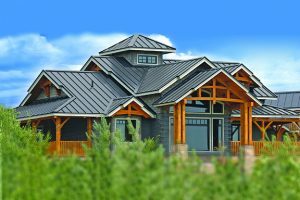 Vicwest offers a wealth of metal roofing products for any style and any budget — but it’s the Iron Shield Roofing team that can give you expert roofing insights and provide the best in metal roof installation. Whether you have a new construction project or need a roof replacement, our team can help — get a quote today.